This entry was posted on June 23, 2011, 1:32 PM and is filed under General Weirdness. You can follow any responses to this entry through RSS 2.0. You can leave a response, or trackback from your own site. spotted in Annapolis MD Comic shop “The Twlight Zone“so funny to mention the X-Man thing yelling about burnt CDS ,(as stated by the owner of the shop “had said -he was very short )That was like in 92 so by now if this Star life copys wow how many…??. Wow – makes me want to swap over to Facebook and start a fake Danzig page! Shoot, I could make a bunch. Have one who only comes out at night – Danzig in the Dark. Have another one who’s European female royalty – Danzig Queen. Even one who runs a hotel only for overnight stays – Danzig the Night Away. Danzig in the Dark….Springsteen would have gotten a kick out of that one! Danzig the Night Away! HA! You’re a maniac, Mr. Erickson. The blog loves you as well. This is great! 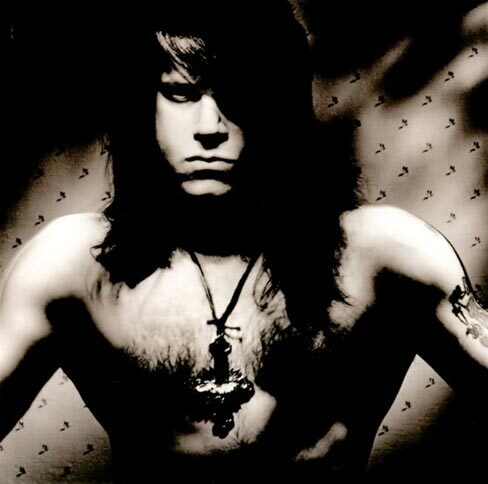 I love Danzig…but can there be only one? Apparently not. I would totally pay to see Danzig Bowl (if I won the Powerball or the lottery or somehow came into a large sum of discretionary money I could blow without feeling guilty.) I am down for Danzig on Facebook Day, too. Just let me know the date. I’m already picking my avatar picture. The Misfits come to our town every so often, they make me sad without Glenn. BTW I love this blog, too. Thanks for sharing those random thoughts and inspiring some in your readers!